Canadians detained abroad: and now what to do? By Monia Mazigh – One day my husband disappeared abroad and I didn’t know what to do. Call The Department of Foreign Affairs? Call the police? Call the Canadian Embassy? Call a lawyer? Call the journalists? Call human rights organizations? Call politicians? The level of anxiety, of distress and the lack of support were tremendous. Since 2002, I became familiar with the stories of several Canadians and their families who went through these emotional, logistical and political phases. The “lucky ones” came back to Canada safe and they were able to return to some sort of normality. Their resilience was their best ally to regain their stolen lives. Unfortunately, for many others, they are still detained abroad, distraught, in poor health conditions, mistreated, threatened by the uncertainty and/or the arbitrariness surrounding their detention. Here, I am not pretending to be speaking on behalf of all Canadians detained abroad, but I will focus on the ones that have a political or national security angle attached to their case. By no means am I understating the importance of the cases of Canadians detained abroad for other reasons but I simply don’t have the expertise to speak on their behalf. The first case that comes to mind is the one of Salim Alaradi. The story of this Canadian businessman originally from Libya who has been in prison in the United Arab Emirates since August 2014 is really appalling. 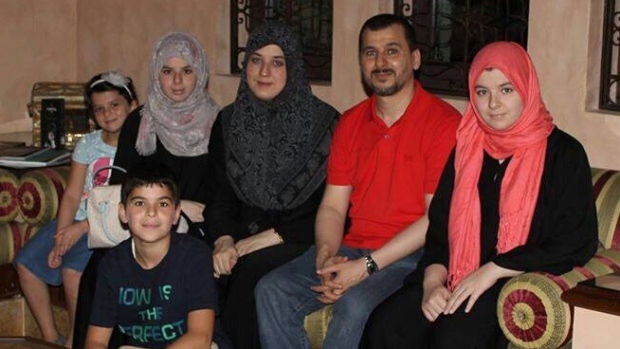 Alaradi’s family, mainly through the incredible efforts of his teenage daughter Marwa, has been campaigning for his release. The Emirati government didn’t feel the heat from the Canadian government until recently when it was reported in the Canadian media that the Alaradi case is a priority for the newly elected Trudeau government. Meanwhile, the family is left on its own with no clear process to follow from the Canadian authorities and with a wall of silence and indifference from the government detaining the citizen. The media unfortunately won’t closely report on these cases, unless the family is very persistent and unless there is “something new happening” as if the continuous detention of a Canadian citizen in horrible conditions wasn’t bad enough to keep writing about it. Generally, the Canadian government keeps raising the issue of consular visits. These visits are usually portrayed to the families as the “ultimate” goal that the Canadian government is looking to attain and clear evidence of progress on the file. I don’t want to minimize the importance of consular visits, however to obtain the release of a citizen detained in a brutal and repressive regime, it takes more than that. I understand that it is extremely hard to convince some governments to open their prison doors to Canadian consular officials so they can visit Canadian prisoners but one should also remember that the efforts of the Canadian government should target nothing less than the immediate release of the detained person, especially when the detainee is experiencing health issues and that no charges have been laid or no transparent and open trial is expected. That is exactly what happened to Salim Alaradi. For more than 1 year, he has been sitting in a jail in the UAE without any charges and his health is deteriorating. Two days ago, the Emirati authorities charged him with two counts of supporting terrorism. This news came as a shock to his family and the human rights organizations following the case. I am not advocating for a forceful and belligerent intervention by the Canadian government, regardless of the country, however my point is to denounce the lack of a clear strategy in getting a citizen out of jail and back to Canada. In this particular case, Canada cannot claim that we have no ties to the UAE as we have both a diplomatic and a trade relationship with the country. We can read on the Canadian government’s website that “It is estimated that approximately 40,000 Canadians reside and work in the UAE. The United Arab Emirates airlines Etihad and Emirates offer direct flights between Canada and the UAE”. And even if, in 2011, there was a dispute between both countries over the landing rights of the Emirati planes in Toronto and the use of the military Mirage Camp by the Canadian army, that seems to be behind us now. So why is Canada so shy and quiet about the rights of one of its citizens? Two other complex cases of Canadians detained abroad are those of Husseyin Celil and Bashir Makhtal, respectively detained in China and in Ethiopia. We need to acknowledge that talking to China about its human rights record is a very sensitive issue. It should be reminded here that Stephen Harper didn’t do any favour to the Canadian-Chinese relationship by not visiting China for many years after he became Prime Minister. Husseyin Celil was arrested in Uzbekistan in 2006 and rendered to China because of his alleged ties to the Uyghur mouvement which asks for more linguistic and religious rights in China. Many years ago, I met Husseyin’s wife, his lawyer and members of his community advocating on his behalf. It is unfortunate that today his case is neither on the media radar nor a government priority. Bashir Makhtal case is equally troubling. He was arrested in 2006 by Kenyan authorities and rendered to Ethiopia where he was jailed for having ties with a separatist group considered to be a terrorist organization by the Ethiopian government. Former Foreign Minister John Baird promised he would do everything he could to bring him home and he didn’t. We also remember what Baird said about the “imminent” release of Canadian journalist Mohamed Fahmy, arrested in Egypt, whereas it took more than 8 months after that statement for Fahmy to be released and brought back to Canada. All these cases share one thing in common: the families are left on their own. The outcome will depend on their judgement and sometimes, frankly, the “right” circumstances. The families who are perseverant, have advocacy skills, financial means and good legal advice can obtain some justice but unfortunately the families who have no connections, and no skills when it comes to contacting politicians and media, they will most likely be forgotten. It is time for Canada to adopt a clear, comprehensive, and effective strategy to help their citizens detained abroad so nobody is left to face arbitrariness and injustice by themselves. This entry was posted in News from ICLMG on 20 January 2016 by ICLMG CSILC.